Star Wars Chewbacca 14" Hideaway Pet Just $7.99! Down From $20! Ships FREE! You are here: Home / Great Deals / Star Wars Chewbacca 14″ Hideaway Pet Just $7.99! Down From $20! Ships FREE! 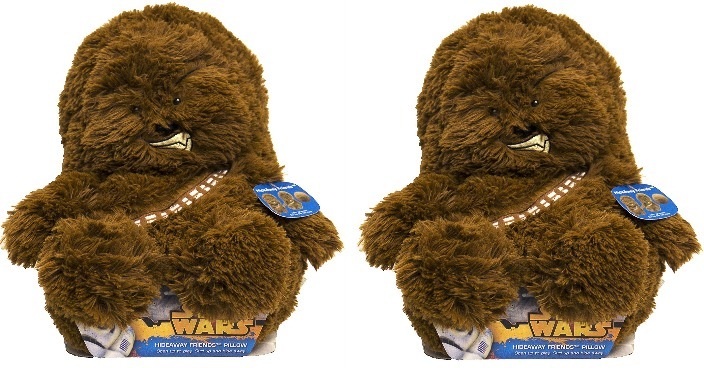 Star Wars Chewbacca 14″ Hideaway Pet Just $7.99! Down From $20! Ships FREE! 13 Deals has this Star Wars Chewbacca 14″ Hideaway Pet on sale for $9.99 (Reg. $20) but you can it for just $7.99 when you use promo code CHEW20 at checkout! Plus shipping is FREE! STOCK UP FOR PRESENTS! Plus Access To Secret Deals During Checkout!